We have the tendency to view the world in dualities—dark and light, good and bad. But the only truth is one all-encompassing way of being that is both dark and light, good and bad, and every shade and state in between. We are created as whole perfect beings with the potential to behave well, and to behave badly—as well as the free choice to favour one of these dualities, oscillate between the two, or more than likely, move along a continuum of both good and bad, dark and light, in varying degrees. We also extend this mythical duality beyond ourselves to our world. This creates divisions between the self and the ‘other’, and an illusion of difference which I don’t think is truly there. I love difference—it makes our world interesting, lively, rich and vibrant. But I don’t think we’re as different as we are the same. To connect on a universal human level is the beauty of our oneness as a people, and a key to the wholeness we all want to feel. A couple of months ago, our theme was Say Yes to Community, and I struggled to write this blog: in the end, I didn’t write it and our lovely spiritual director, Helen Valleau, shared a parable from her amazingly delivered talk at Sunday celebration that addressed community in a beautiful way that I think would ring true for every person trying not to get lost in our fast-moving society. But the idea of community is present for Helen in her every cell—she is connected with herself, with others, and holds the gift to help others do the same. With all my own talents, I struggle with the concept of community, as became clear in my inability to write about it. I have given into the fear of connection as a result of past experiences of attachment and detachment, which I think many people can relate to. We have all heard the sage advice to make decisions out of love, not fear: yet, in practice, it’s hard to do. Many of us are disconnected in some way: whether it be with our inner soul—who we are, what we like and dislike, what we want for ourselves, our lives and our loved ones—or with others. There’s a lack of wholeness in both of these ways of being. For me, I feel very well connected with my soul, and I connect with other human beings every day, in fleeting moments, feeling genuine love for each person I meet—as long as they don’t try to become a part of my every day life. 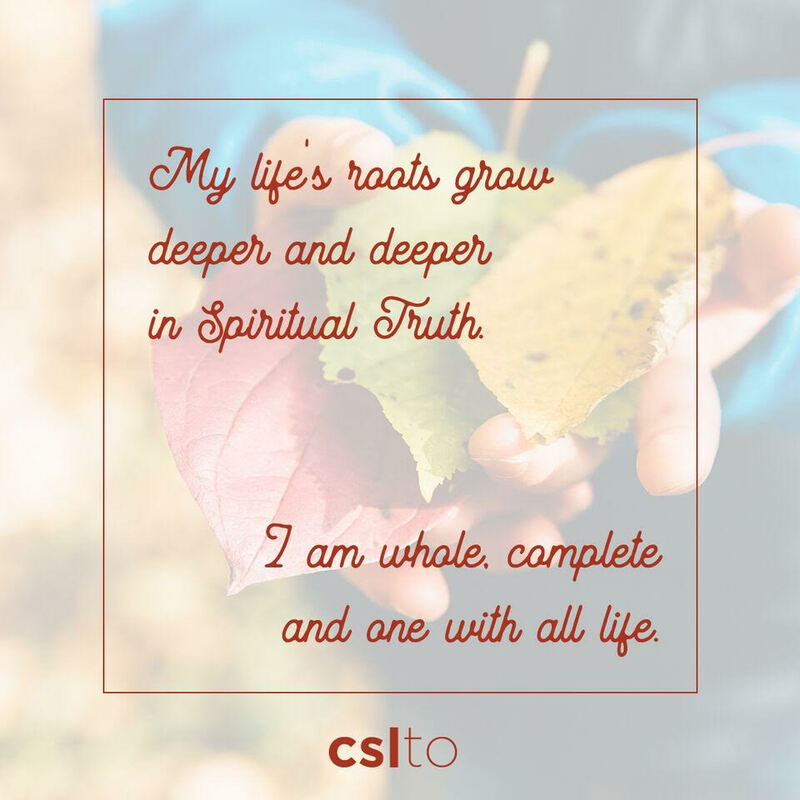 Each of us is on a personal journey, with consistent spiritual work to do to achieve and maintain wholeness, both within, and as a societal whole. Our theme this month is Say Yes to Wholeness. Accept and love your light and your darkness; your dynamic ability to move along a spectrum of what society labels as good and bad; and the free choice we are all lucky to have today (Lest we Forget). Embrace your role in the larger whole, and allow yourself to be comforted by our connectedness—I sure am working on this. Download a membership form by clicking here. We see you – we love you – we support you!